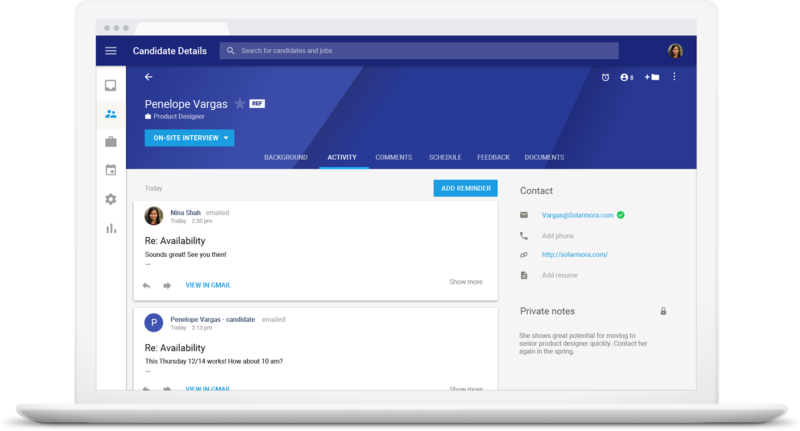 Google today announced the launch of Hire, a new service that helps businesses more effectively manage their internal recruiting process. Hire offers businesses a cohesive applicant tracking service that’s deeply integrated with G Suite to make it easier for businesses to communicate with their candidates and track their progress through the interview process. Earlier this year, Google launches its Google for Jobs initiative and its job search feature in Google Search to help job seekers find the right job for them. Now it’s launching this new tool to help businesses manage their candidates. The missing piece here is giving businesses tools for managing job posting — and maybe posting them directly to Google’s new jobs widget in Search. As the company pointed out when it launched its AI-powered job search engine, though, it has no interest in doing this and is instead partnering with major online job boards. Google says Hire is meant to help businesses do away with manually tracking candidates. “Hire and G Suite are made to work well together so recruiting team members can focus on their top priorities instead of wasting time copy-pasting across tools,” Google product manager Berit Johnson writes in today’s announcement. 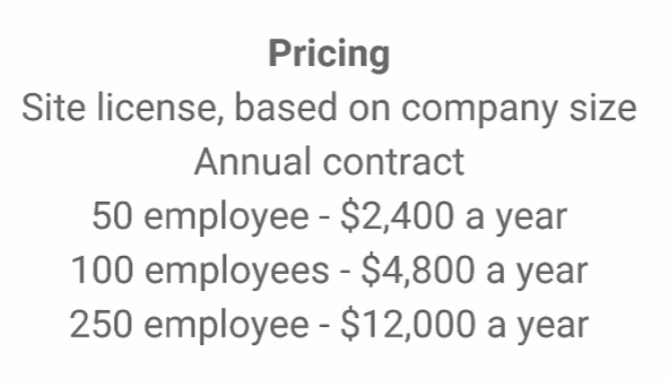 While Hire itself is interesting in its own right, it’s also interesting to see that Google is now looking to use the G Suite tools and back-end services it has developed over the last few years to solve problems in very specific verticals. I wouldn’t be surprised if the company decided to launch more of these projects now that it has the foundation in place to do so.